I decided to do some gift guides with a difference in the lead up to Christmas. These will be based around different cities. First up is one of my favourites, Paris. If you are looking for a gift with a difference this Christmas you might find one here. I first came across the brand Dead Legacy on Lizzy’s blog and when I saw this sweater I knew I had to add it into my gift guide. This is the perfect present for the fashion lover in your life. It would look great teamed with ripped jeans and a pair of heels. You’ll be in their good books for a while. Looking for something a little more special, how about this Eiffel Tower charm from Thomas Sabo? This can be added to a necklace or bracelet that they already have. Or maybe if you are feeling generous you could get them something to attach it to. 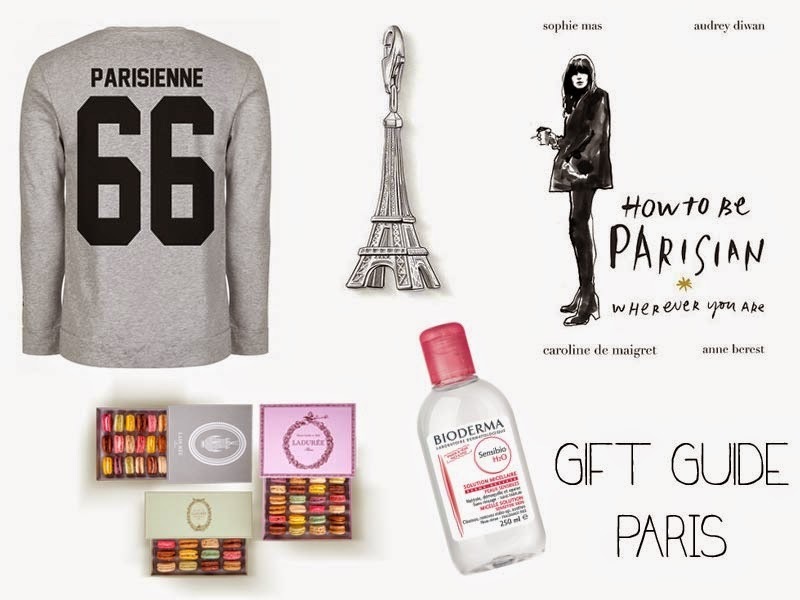 I got How To Be Parisian the other week and I absolutely love it. It is full of hilarious ‘advice’ on how to achieve that certain je nais se quoi. This is the perfect gift for those people who love a good coffee table book. Of course if you happen to be near the Ladurée shop then you could get a box of their fabulous macaroons for your loved one. These a little bites of heaven, you can get so many different flavours now you are bound to find the perfect one. How can you forget the amazing French pharmacy bargains? Since using Bioderma as a make-up remover I haven’t looked back. This is great for the beauty junkie in your life, if they are already into their products this might be on their Christmas list already. "Review: WAH London The Ultimate Nail Art Kit"